The environment includes everything we come in contact with including our food and our own thoughts. Bruce’s award winning book, The Biology of Belief, required reading during my graduate studies, examines how positive thought connects with mind-body pathways and explores many other concepts of our biology offering fresh ideas. 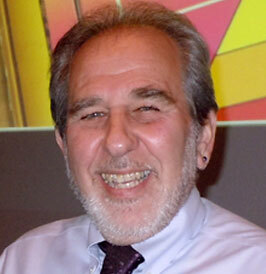 I met Bruce Lipton at a 2010 conference on healing in Los Angeles. While he is easygoing and jovial, his presentation there was startling and rousing. His focus this time was on the planetary changes we can expect to face in the near future, such as seas that will no longer be able to support life in as little as 40 years, unless we engage in serious change. Bruce has a new book out called Spontaneous Evolution, Our Positive Future and a Way to Get There From Here, which I have just ordered. His ever expanding subject reach explores and challenges ideas often starting with a biological understanding and connecting it to the human factor. The shake up of ideas constantly opens new doors as did his work on the impact of environment on cells. At the LA conference his keynote presentation conveyed a fierce concern for the need for immediate involvement from us to impact the direction of planetary change. Dr. Lipton is a great example of the harmony possible between science and mind-body-spirit and nature.